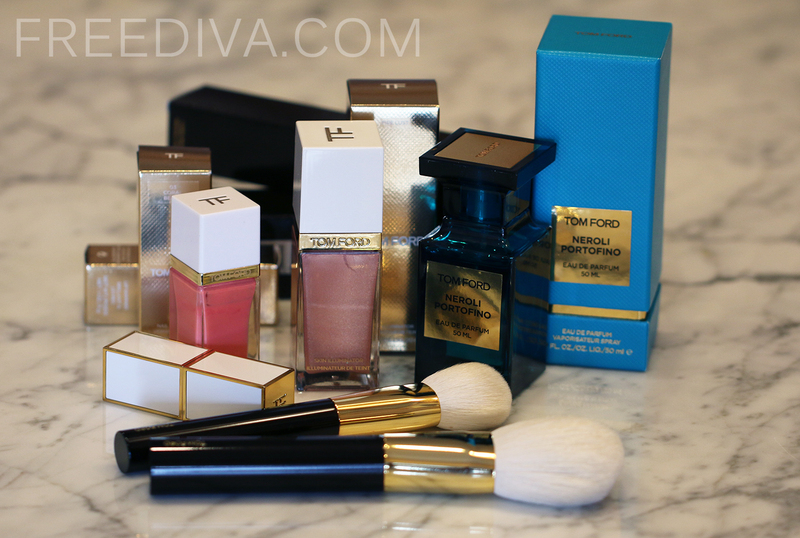 When it comes to Tom Ford beauty, it is difficult to stay within a budget. 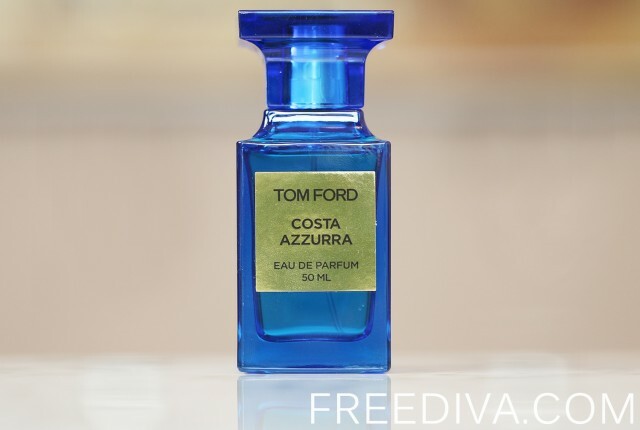 There is always a good reason why you’d need this or that Tom Ford beauty item, since they do not simply look great, but also quality made. The brushes, in their quality and craftsmanship rival the famous Hakuhodo brushes, which I have in my collection, use and love. My most recent Tom Ford brush purchases are the Bronzer Brush and the Cheek Brush. The dark brown lacquered handles and the gold etching gives them the most luxurious look, while the soft and dense quality of natural hair bristles ensures a smooth application. Another item that I had on my list for at least a year, but did not get a chance to buy, is the famous Neroli Portofino Eau de Parfum in a gorgeous 50 ml (1.7 fl oz) bottle. Just before leaving on vacation to Mexico, I was looking for a new scent that I could take with me and that would be then associated with that time and place in my life. 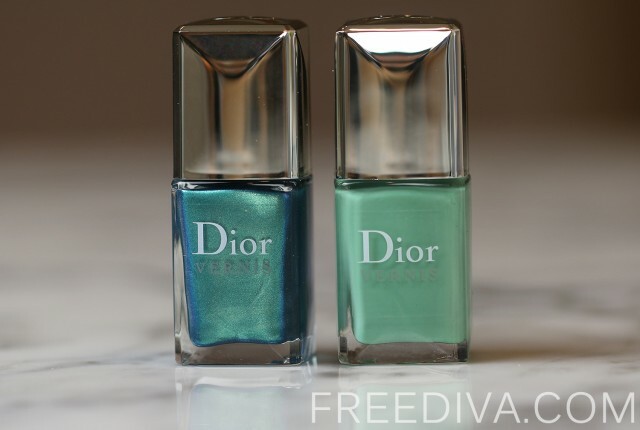 While shopping for before and after sun face and body products, my eyes fell on the turquoise blue bottle of Neroli Portofino and the decision was made. This unisex scent is perfect for summer, beach getaway or any other vacation. I can totally picture myself wearing Neroli Portofino in Florence or Rome. Now comes my beauty splurge: the items that I don’t really need and could not justify myself purchasing them, but simply could not pass them by – limited edition items from Tom Ford Beauty, Summer 2014 Collection: the Skin Illuminator, the Lip Shimmer in Solar Gold, and the matte Nail Lacquer in Coral Beach. All come packaged in limited edition chic ivory and gold colored cases. Both the Skin Illuminator and the Lip Shimmer in Solar Gold are quite sheer and look very light on the skin, which I think is perfect for summer. I’d mix the Skin Illuminator with a foundation or bb cream for a translucent glow and dewy look and wear a sheer gloss over the Lip Shimmer, or wear it on its own. Overall, I am happy as ever with all the products I got from Tom Ford and will look forward to the new lines and limited edition products coming this fall.